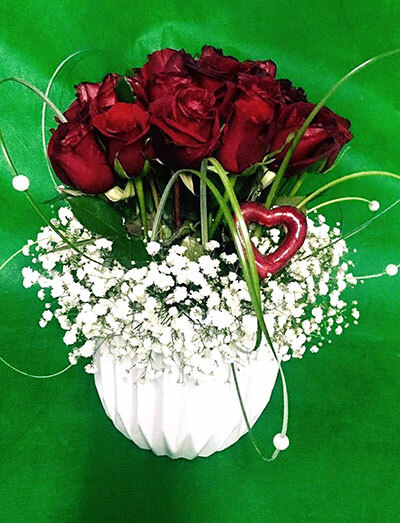 Simple arrangement of red roses and gypsophila in a white ceramic *vase. This product is offered and delivered by Plantel. *Vase might vary depending on availability.